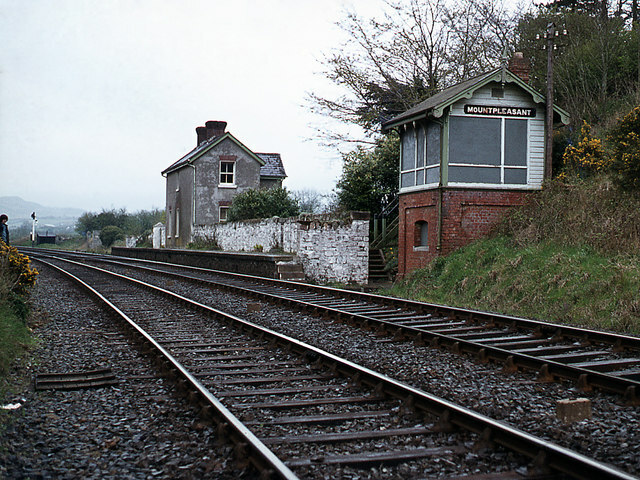 Mountpleasant railway station at MP57.78 north of Dundalk on the Belfast - Dublin railway line. Unusual in having one platform, the station closed in 1965. All buildings were demolished in the mid-1970s as the station had been used for terrorist activity. © Copyright The Carlisle Kid and licensed for reuse under this Creative Commons Licence. This page has been viewed about 214 times.